One thing most people want to do when they get a new phone is personalise it, make it theirs. For many it's just about the wallpaper, the background screen and how they have their apps displayed on their homescreens, for others however they want to change more than just the lay out of things but also how things actually look. On of the ways they can change the way things look is by changing the font that they use. 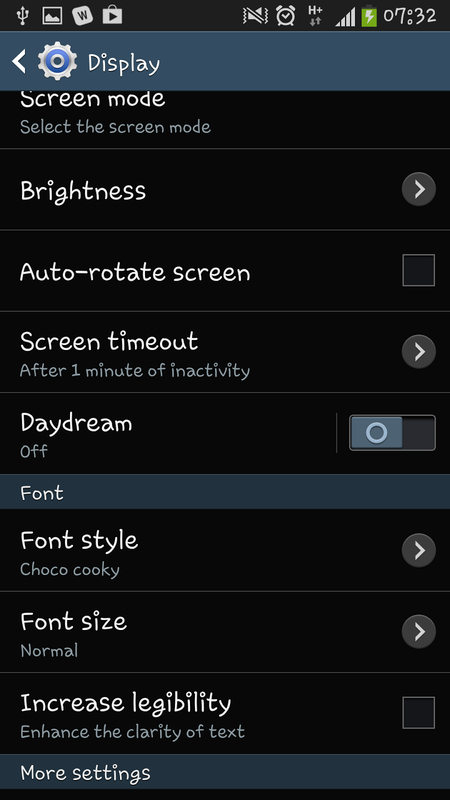 This guide is going to show you just how to do that and change the font on a brand new Samsung Galaxy S4. To start with we go through the same stages as we do for many changes we may wish to make to out phone. 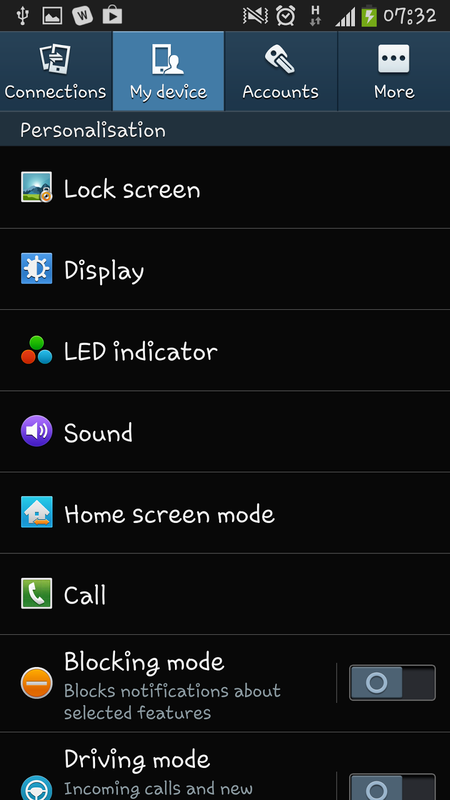 So to start with we go to the homescreen and press "menu" to open up a little pop up menu. 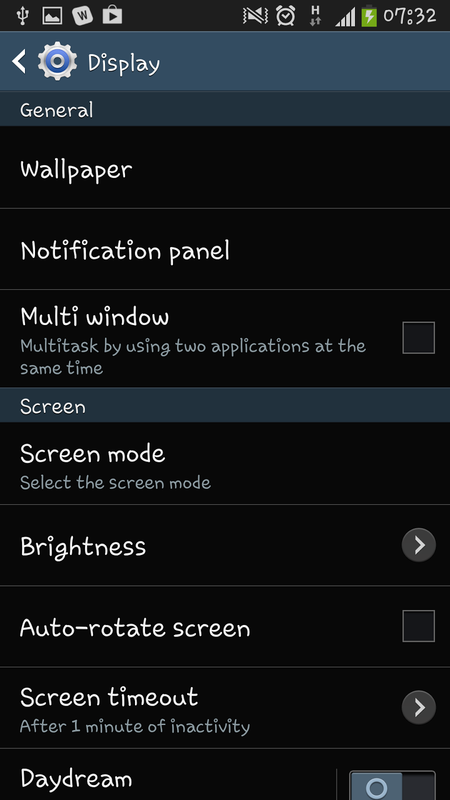 From this menu you need to select "Settings". 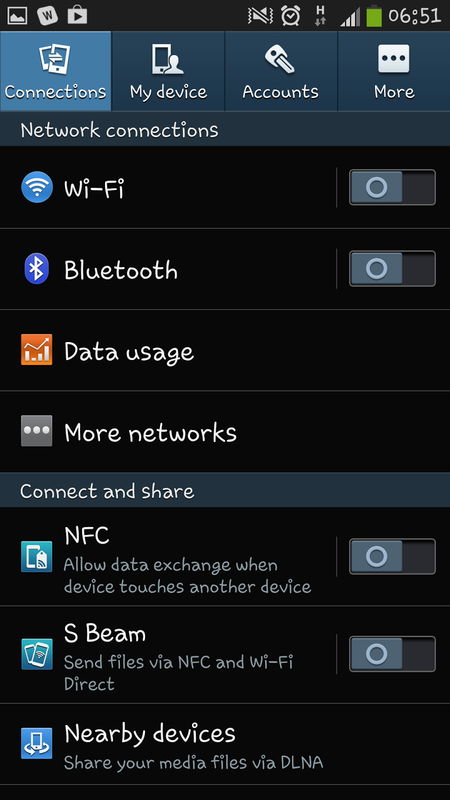 After clicking settings you will be taken to the first "Settings" screen, the "Connections" screen. From here you need to select the second tab along and access the "My device" tab from the top of the screen. When you get to the "My device" screen you will again be hit with a plethora of options to tinker with (further allowing you to personalise you phone). For now you need to just ignore those options and just click on the "Display" option. When scrolled part of the way down you will see a a set of options entitled "Font". From the "Font" sub-menu you will see two options. "Font style" and "Font size" for the sake of this guide you need to click on "Font style". 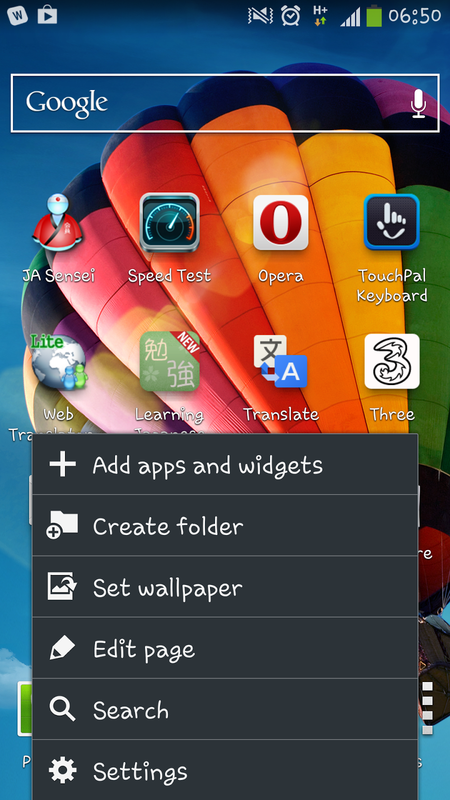 After clicking on "Font style" you will get a new pop up menu on the screen with a list of options. From those options you need to select the one you most like. 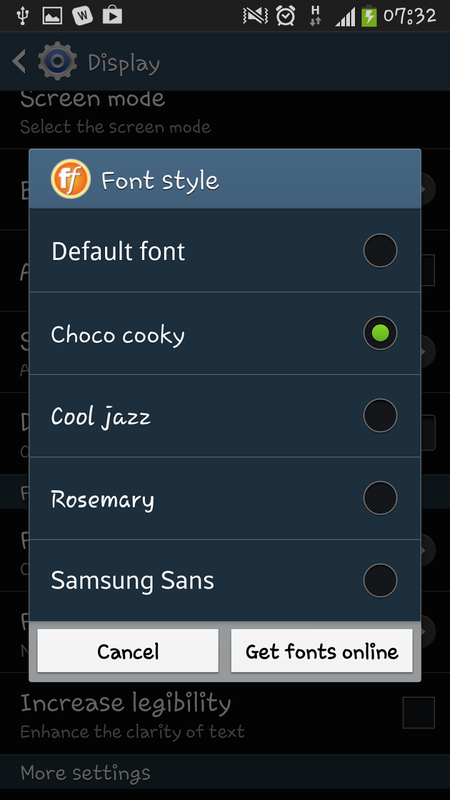 For me it's "Choco Cooky" every time, though if you want to use one of the other options then that choice is yours.